Pronounced Yaslo! 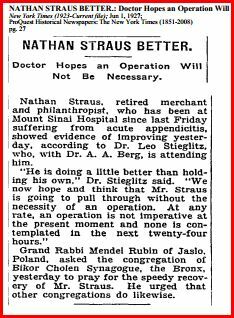 ...This web page is devoted to the shtetl Jaslo, which was in Galicia; and to all our ancestors who had the courage and foresight to brave the new world and emmigrate to the United States, Israel and elsewhere. A bit of history: Galicia was a province or Kronland of Austria from 1772 through 1919; when Austria lost the war, this province was returned to Poland. Jaslo was in the red circle in the map to the left; it was the county seat and a thriving community. If you are visiting our page because your family came from Jaslo (latitude 49° 45´ longitude 21° 28´) or one of the surrounding communities remember that often marriages were arranged between families from neighboring towns, so you may well find information on your surnames where you least expect it. The map below shows the area of southern Poland today with many of the area towns...each one circled has a KehilaLinks page! Rymanow (21 miles ESE, Dukla (16 miles SE), Zmigrod Nowy (10 miles SSE), Frysztak (9 miles NE), Strzyzow (17 miles ENE), and Bukowsko. 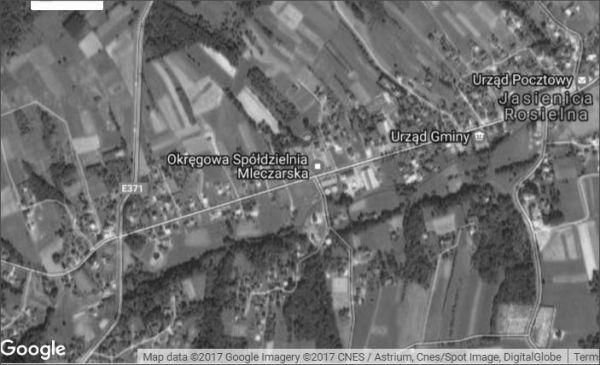 Other nearby towns included: Biecz-10 miles W, Jedlicze-9 miles NE, Krempna-7 miles S, Osiek Jasielski-8 miles S.
This web page is our loving tribute to the memory of our ancestors who braved the trip and left a legacy for future generations. Feel free to contact me if you have any questions or information to add. Just like our research, this is an evolving project! The Jaslo KehilaLinks page was created in October 2000 by Phyllis Kramer, V.P. of Education and Special Projects, JewishGen Inc; Copyright © 2000. The site was updated January 2019. Since August 2002, you are visitor: If you have any questions, comments or additions, please email me (just click on my name). Memoirs of Jaslo 1939-1960 --from a book published in polish in 2000; by the "Association of Lovers of Jaslo and the Region", translated by Monika Hendry. This is fabulous! and includes a street map of the town and the names of the shopkeepers!! The Cemetery -- various articles, photographs and even a list of tombstones!! The AntiSchematy Foundation in co-operation the City Hall and a local woman, Magdalena Bialek, plans to clean the cemetery; for details and how to help, go here . Find Other Researchers looking for your Surnames & Towns!! -- JewishGen's Family Finder (JGFF). 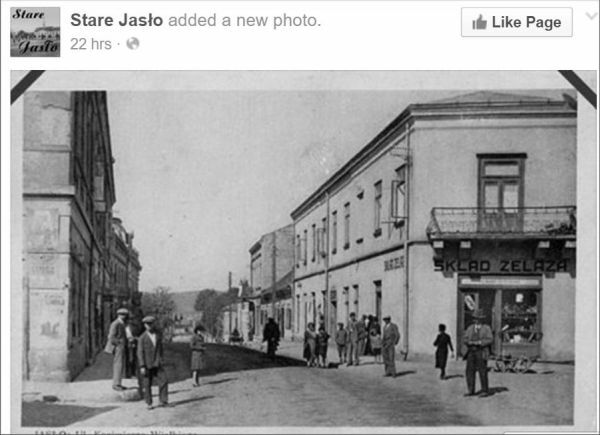 Do you have roots in Jaslo? Would you like to connect with others researching the same community? Click here to search the JewishGen Family Finder database (JGFF).You may need to register, but i promise you, its painless, and by registering, others will find you�so it�s worth the few minutes!! Ellis Island Manifests for Krosno, Jaslo, Jasienica -- sourced from Steve Morse's wonderful web site. Want Information on Other Shtetls? -- search JewishGen's Communities Pages...a detailed directory of 6500 towns that had significant Jewish populations around 1900. "In 1437, district head (starost) from Biecz imposed a fine of 60 grzywna (a measure of weight of gold or silver used in medieval central Europe equal to 196.26g to 201.86g) on Jaslo's townsfolk and Jews who 'disturb the peace among themselves by word or deed'". It was a considerable sum that would buy about 20 hectares of suburban land in those days. Jewish Records Indexing - Poland has indexes to many Galician Vital Records. Although many western Galician towns are as well represented as those from eastern Galicia, there are indexes to Jaslo birth records in the Polish Archives; also if you search you will find indexes to over 500 individual records of folks from Jaslo who lived elsewhere. Write down the coordinates of Jaslo, (latitude 49° 45´ longitude 21° 28´). request a search of records within (3) 30 miles of Jaslo. That way you'll find if there are any records for your surname in the area. Good luck with your search for records. In 2016 FindMyPast.com added many items from the British Archives. The following resulted from a search using JASLO as the query point. The images connected with these items contain even more information. Go to http://search.findmypast.co.uk/search-world-records/britain-enemy-aliens-and-internees-first-and-second-world-wars and put JASLO into the keyword search field. updated 7/18 to reflect RTR changes The more recent records (within 100 years) are held at the Jaslo Civil Records Office (USC) and are subject to privacy laws. Please email herefor additional information on these records. Kahal records 1915/1927 and Voter Lists 1920/1927 and Army Recruit Lists 1915-1918 can be found in the Przemysl Archives. Land Records 1785-8 and 1819-20 can be found in the Lvov Archives. You can find this list of records and other information on Miriam Weiner's Web Site, Routes to Roots,www.Rtrfoundation.org. According to the state national archives these records are kept in the Sanok branch of the archives. Look at item 2 from top: http://szukajwarchiwach.pl/search?q=Jas%C5%82o&rpp=15&page=6. Of course you will probably need a researcher to get them for you. You might try jewishgen's infofile of researchers... at www.jewishgen.org/infofiles/researchers.htm. An interesting map. Monika said: "I found it online in a paper by Piotr Szmyd about Jaslo's fortified manor house called 'Koci Zamek', which was located exactly where the synagogue was later built. In fact some of its foundations and walls were incorporated into the synagogue. It is dated to the end of the 18th century." As always, thankyou Monika! !